I was invited to have lunch at Bonefish Grill before they had their grand opening in Albuquerque, New Mexico. Here in Albuquerque we have a lot of great Mexican restaurants but finding great seafood has always been a problem until now. Bonefish Grill is located on Louisiana at the Coronado Mall and is now open for lunch and dinner, also brunch on Sundays. 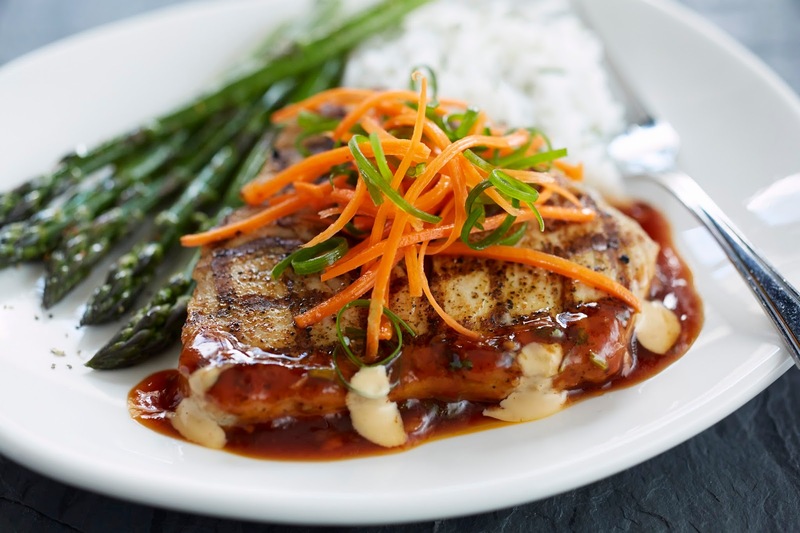 Bonefish Grill is a great place to get great tasting seafood in a relaxing place. I love the waiting area that welcomes you, if you have to wait for a table this looks so comfy. The restaurant people took a lot of thought into designing the place to make it a great place to dine. They even have cool fish art work on the wall. Bonefish Grill has fresh fish that is shipped several times a week to the restaurant. You can enjoy their wood-grilled fish with lemon or one of their signature sauces that brings out the flavor of the fish.I was treated to their Chilean Sea Bass along with Seared Ahi Tuna and Wild Pacific Caught Salmon. They were all great tasting, the Chilean Sea Bass was my favorite though. Pictured below is their grilled tuna as the fish I had was so yummy, I forgot to take a picture. Bonefish Grill also has many wonderful starters like Bang Bang Shrimp, which is crispy shrimp tossed in a creamy, spicy sauce. I found the spicy sauce to be flavorful with a little kick. I also enjoyed their Lobster Roll Sliders, lobster chunks on a mini authentic New England roll. Their Cilantro Lime Shrimp Salad had a nice cilantro lime vinaigrette served with it. 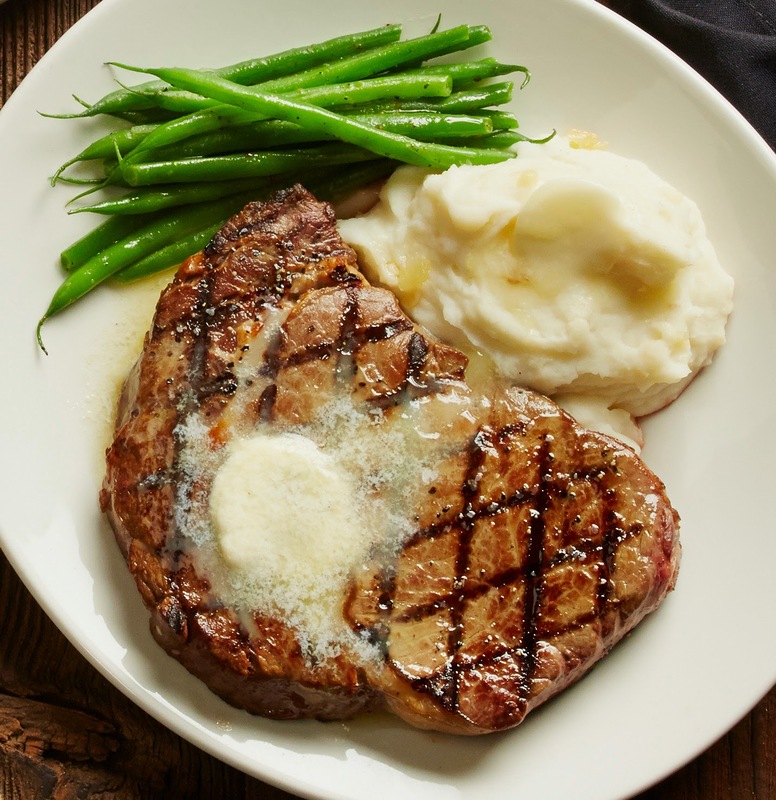 Bonefish Grill also serves steaks and chicken on their menu along with desserts that are made in the restaurant. I had the Key Lime Pie that was made with real key limes on a roasted pecan crust. This pie had a great creamy lime taste. If you sign up on their website to be a BFG insider they will send you a welcome gift and a gift on your birthday. I was sent a coupon for a complimentary order of their Bang Bang Shrimp. Bonefish Grill is open 7 days a week for lunch and dinner, along with brunch on Sundays. Now for the fun part I have a wine gift set to giveaway to the first person who visits Bonefish Grill in Albuquerque. You must show me your receipt, showing the location, on my Facebook page. You must be able to pick up the prize from me in Albuquerque. For my Cottonwood church friends, I will bring it to you on Sunday. Also you must be 21 years or older to receive the wine, if I don't know you I will ask to see your ID. "These opinions are my own and I was compensated with a free meal, the above wine set, and a gift card for a future visit." Those meals look absolutely delicious......but then again, I love seafood. :-) What I think looks fun is that mural on the wall (or what is that fish made out of)??? Looks so cool! I have a friend visiting ABQ right now, I'll have to let her know about the Bonefish Grill. We love Bonefish Grill and have been there a few times already. We will have to stop at the new one next time we are passing through ABQ. There's a Bonefish Grill near me, but I've never been. Now I'm going to make my hubs take me out for dinner some night since it all looks so delicious. Very nice wine set! I ate at Bonefish Grill one time, and it was outside on their patio. I had an appetizer, drink and took home a dessert. Good food. I would like to actually see the inside one of these days. That all sounds delicious! I'll definitely have to visit. The food looks amazing. I love seafood. They don't have one of these here in town. But, if they did I would definitely check it out. Wow, those dishes look amazing, and I love the wall art! Wish I lived close enough to go try it out! Maybe someday if I'm ever in NM :) Love, love, love those wine glasses. We have a Bonefish here but I have yet to visit them. Now I want to give them a try the food above looks so delicious!